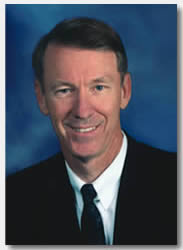 College of the Ozarks president Jerry Davis will be a guest on Mike Huckabee's Fox News Channel program this weekend. The college tells KY3 News that Davis will be joined by communications student Valerie Wilson on the program that airs Saturday and Sunday evenings at 7 p.m. central time. Huckabee, Davis and Wilson are expected to discuss the importance of a college education and graduating without student loan debt. More info on 'Huckabee' HERE.